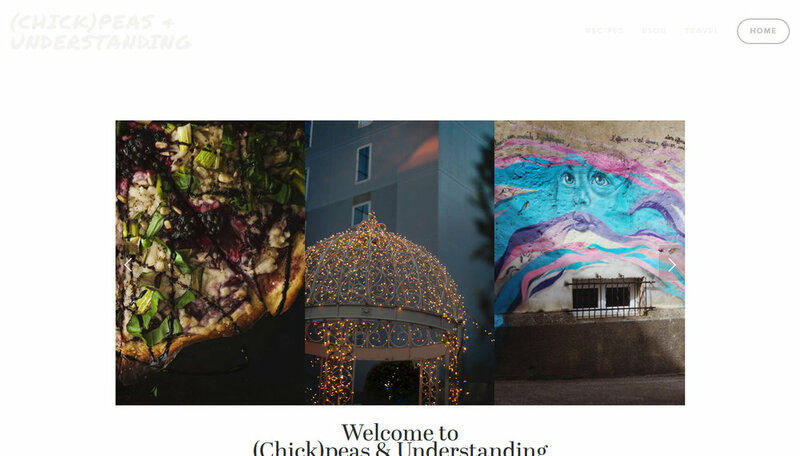 Welcome to the brand new website of (Chick)peas & Understanding! Surprise! *jumps out from behind the sofa. * After some sporadic years of blogging, I settled down on WordPress when I started this blog back in 2014. The portal sure has its perks - but inevitably can be somewhat limited in terms of design. I have had my eye on Squarespace for some time, and the past two months of Radio Silence on my behalf, has been due to finally deciding to take the leap. There has been plentiful hours and even more mugs of coffee over rearranging the posts - making sure they did not get damaged whilst packed away for the move - and it is still a work in process (holla at me if you find any dodgy layouts or broken links!). The best part of going through the content, post by post like this, is to see both the development in quality along with a feeling of pride over the body of work I have gathered on this blog over the past 200 posts. Alas, practise does make progress. So why did I decide to move the blog? I want to give the content that I put numerous hours into creating a chance to shine in its full glory - a pleasant design is one of the first things that draws potential readers in! I want the process of creating and layouting my content to be as straightforward as possible - with Squarespace it is very much WYSIWYG - What You See Is What You Get. Most of it is drag and drop-functions, so I need not worry about coding ever again! I want to make it easier for you as a reader to navigate yourself around the site. It is not a particularly nished site, but hopefully it will be easy for you to pick and choose between your topics of interest! I have added a homepage, so that when you enter peasandunderstanding.com you will be greeted by this sight! For new visitors to be thrown straight into this wee internet space of mine, there is a small introduction of the page along with plentiful images to draw your eyes attention. All content will be updated through the blog as per usual. 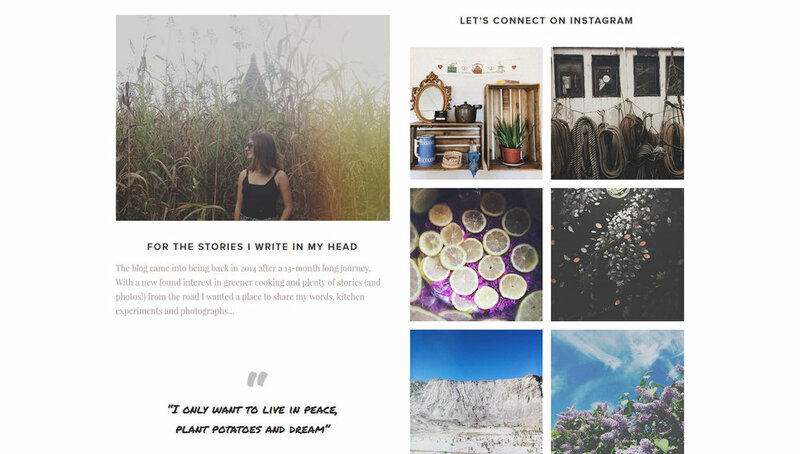 Make sure to follow it via bloglovin to not miss any new posts! Browsing between the recipes will be a lot easier; I made the layout of this as plain as possible - with inspiration from Green Kitchen Stories index page. You can easily browse the titles and pick one that sounds appealing for a dinner, snack or afternoon delight. Pick a destination at random! My hopes is to fill this page with more in depth itineraries as time goes by; for now you can find mainly photo diaries selected by country. There is also a flux of the most recent posts of the Travel-category and at the bottom you find more city specific-guides. The content will be just the same as before! A jumble of vegan recipes, photo diaries, moon cup preachings and DIY's. By the time this post is published, I will have redirected my bloglovin' following over to the new site.